GIBRALTAR’s Chief Minister has slammed the opposition party’s demands for answers over government links to an alleged billionaire fraudster as ‘nonsense’. Yesterday the GSD has questioned in particular the government’s ‘socialist’ beliefs after both the Chief Minister and Justice Minister were linked to Israeli businessman, Dan Gertler, who is currently under US sanction and has had assets frozen for alleged corrupt mining deals and human rights abuse in the Democratic Republic of Congo. Gertler is also being investigated by the UK’s Serious Fraud Office. 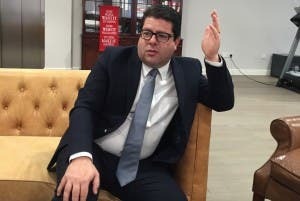 It comes after a GBC investigation revealed that Chief Minister Fabian Picardo was a director of Rozaro Development Limited in 2010 – one of two Gibraltar-based companies linked to Gertler. It is currently on the US Office of Foreign Assets Control list. Chief Minister Picardo insisted he acted in keeping with all relevant national and international rules. His statement adds: “Additionally I made the point that the parties I was representing were then, at the time I was instructed, internationally accepted as reputable. The Chief Minister claims that members of the opposition party have also been involved in a business linked to Gertler. 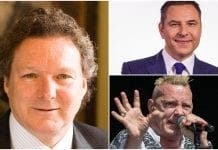 The statement continues: “Hypocritically, in making political mischief regardless of the potential international consequences for Gibraltar, the GSD have failed to highlight that their former election candidate Chris White, who they said was a financial services expert, was also a director of the relevant company. 44-year-old Gertler, who is reportedly worth more than 1.2 billion dollars (around €1 billion), is also being probed by the UK’s Serious Fraud Office on ‘allegations of fraud, bribery and corruption around the acquisition of substantial mineral assets’. Gertler and Hassans have also denied any illegal activity.